New Orleans. NOLA. Crescent City. The Big Easy. Call it what you will, but anyone who has actually visited New Orleans will call it something else, too: absolutely and undeniably awesome. When it comes to its rambunctious locals, unparalleled foodie scene, interesting convergence of cultures, 300-year-old history, and its questionable drinking habits, there is just no place like New Orleans. In March, I visited New Orleans and explored the city for an entire week, all by myself. With the Hyatt Centric French Quarter* as my home base, I discovered New Orleans slowly, allowing myself to find the best places to eat and the most exciting things to do. So now, I can tell you that three days in New Orleans will be the perfect amount of time to experience the best of what the city has to offer. *This post contains affiliate links. Here’s how you should spend three days in New Orleans! First things first. Where should you stay while in New Orleans? Hands down, the Hyatt Centric French Quarter is the best place to stay in New Orleans. This hotel is smack in the middle of the French Quarter, near all of the best bars, restaurants, antique shops, and more. The Hyatt‘s rooms are spacious and beautiful, the service is friendly and efficient, and the property even has a pool! However, you can find other great deals on French Quarter hotels here! 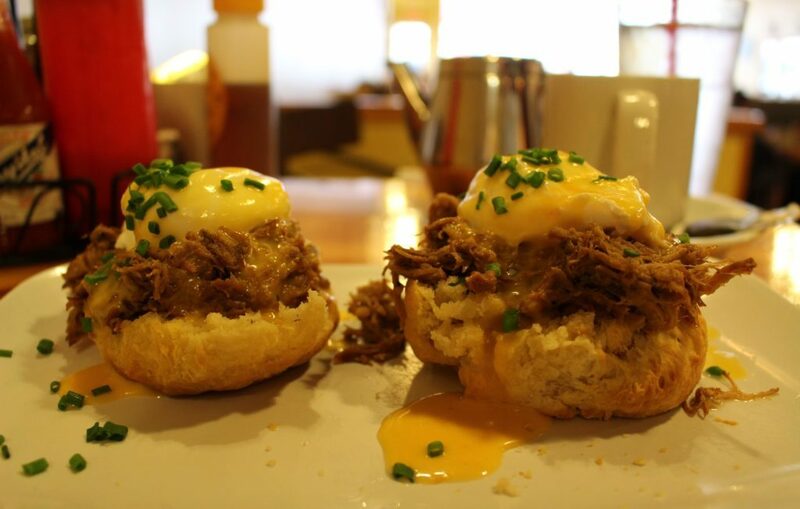 Start off your first of three days in New Orleans bright and early at the Ruby Slipper Cafe in the French Quarter. If there’s one thing you must experience in New Orleans, it would be the city’s legendary cuisine. Believe me, the Ruby Slipper Cafe will be the perfect introduction to down-home Southern cookin’. 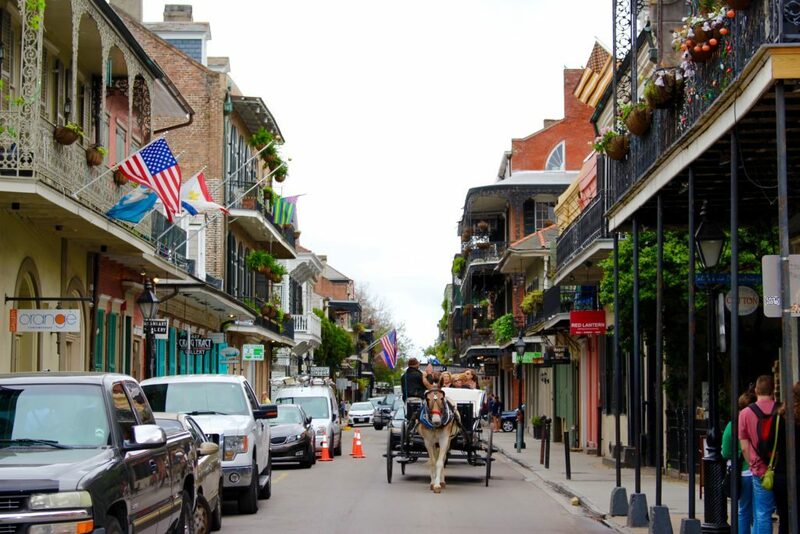 The oldest and most iconic district in New Orleans is undoubtedly the French Quarter. 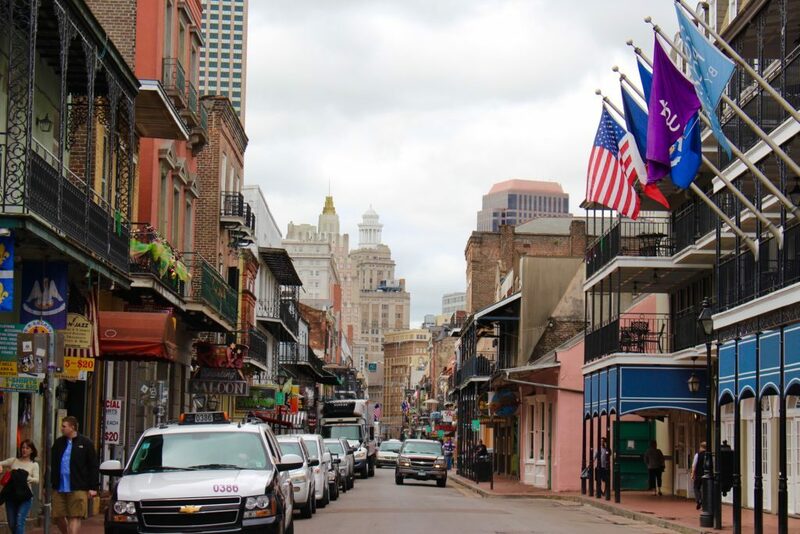 The French Quarter’s Bourbon Street is alive around the clock with bustling bars and clubs, but that’s certainly not all the area has to offer. Wander the French Quarter and appreciate its old buildings, adorned with beautiful wrought iron balconies and bright flowers. Stop to watch electrifying jazz performances. Poke your head into a few shops. Watch and interact with the eclectic mix of people that the French Quarter attracts. And remember, if you want to stay in the French Quarter (which you should, since it’s the best and safest neighborhood), the Hyatt Centric French Quarter is the place to stay! Cafe Amelie might just be the best restaurant in all of New Orleans. Reserve a table here in advance and get ready to have the lunch of a lifetime. Cafe Amelie’s quaint courtyard will be the perfect place to relax and have a memorable meal in the French Quarter. Fellow foodie friends, it doesn’t get any better than this. Next, stroll through one of the most beautiful and historic parks in New Orleans. Jackson Square is always full of street artists, jazz performers, tourists, and locals alike; needless to say, this is one of the city’s most popular squares. Embark on a tour of New Orleans and St. Louis Cemetery with Cajun Encounters, departing around 3:30 p.m. This tour will take you through the history of New Orleans and show you the city from a local’s perspective. Highlights of the tour include the French Quarter, St. Louis Cemetery, the Garden District, and the Warehouse/Arts District. Remember: If you want to visit a New Orleans cemetery, you should book a tour. Roaming these parts of town without a large group can be very dangerous. Wake up early and head over to Surrey’s Café and Juice Bar (located on Magazine Street) for a delicious breakfast. Popular among tourists and locals, this place will not disappoint. After breakfast at Surrey’s, walk a few blocks over to The National WWII Museum to learn a bit more about WWII history and NOLA’s ties to the war. The museum opens at 9:00 a.m., so make your way there after breakfast and stay a for few hours. Don’t miss the museum’s hourly screening of Beyond All Boundaries, an amazing 4D experience of WWII, narrated by Tom Hanks. You can purchase your tickets to the WWII Museum here. After you’ve finished up at the WWII Museum, step back out onto Magazine Street and pop into some of the city’s most unique boutiques and art galleries. 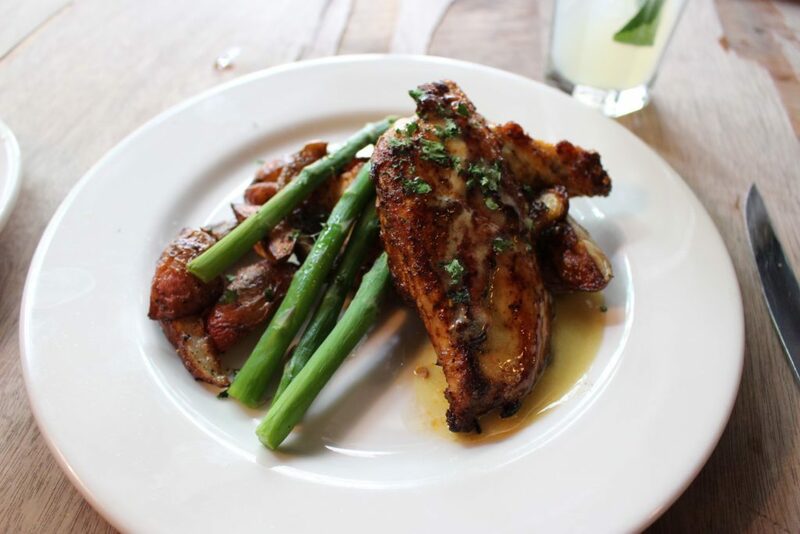 When your stomach starts to grumble, choose one of Magazine Street’s many restaurants and have a quick bite. Next up, embark on a Swamp Tour with Cajun Encounters. The last tour departs at 3:30 p.m. and will serve as a relaxing afternoon activity. 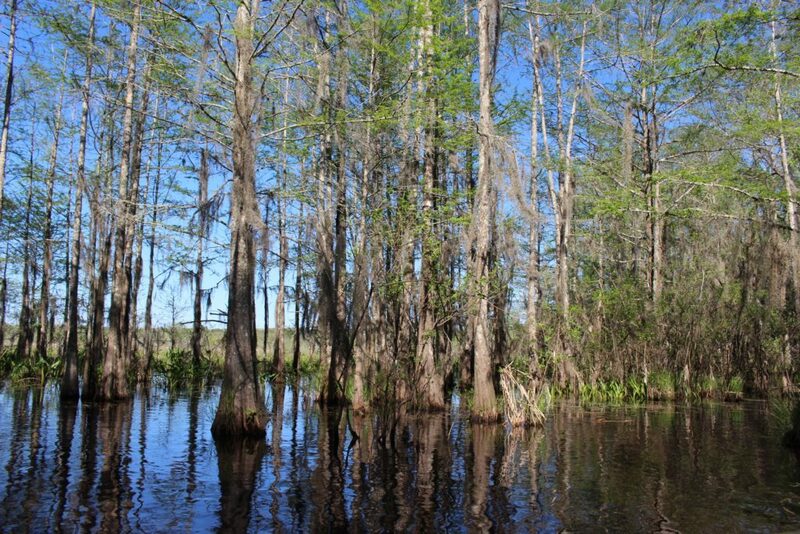 Meet local fisherman, search for swamp-dwellers such as alligators, deer, and hogs, and enjoy a peaceful drift through Louisiana’s swampland. You can book your Swamp Tour here. When the sun goes down, Frenchmen Street comes alive. Grab a drink and take to the streets to watch some of the best jazz performances in all of New Orleans. The music emanating from Frenchmen is infectious; listen, dance, and drink along to the music all night! Elizabeth’s Restaurant is the place to be at breakfast time. 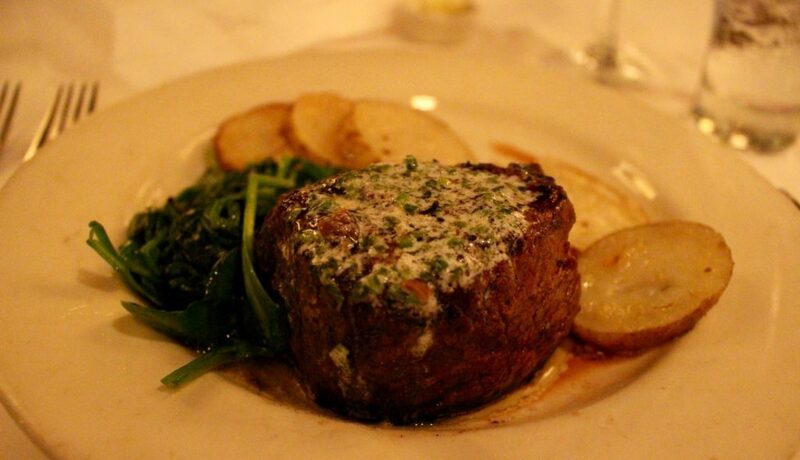 For some more good ol’ Southern cooking, Elizabeth’s is a must. Arrive early to beat the crowds! Next, a bit more time in the French Quarter is in order! Head back to Royal Street and spend a few hours meandering through some of the city’s best antique shops and art galleries. Nutty and sugary treats called pralines are another New Orleans favorite that you must try! Just off of Royal Street, Leah’s Pralines is the perfect place to satisfy your sweet tooth. Buy some sweet treats for yourself and make sure to bring some home for your family and friends. Next, visit The Historic New Orleans Collection to learn a bit more about the history and culture of New Orleans. This museum is one of the best in the city and shouldn’t be missed by history buffs or curious travelers! Finish off your three days in New Orleans with a bang! If you have a bit of room left in your budget, make sure to stop by Mr. B’s Bistro for a Creole fine-dining experience. This place might empty your wallet, but I promise it will be yummy! There aren’t many streets as romanticized as Bourbon Street. But will it live up to its name? That’s for you to judge. On any given night on Bourbon Street, you’ll find tons of drunk people clad in interesting costumes (or not much at all), tons of alcohol, and loud music. Join in on the madness or simply enjoy watching it all unfold. Over to you! 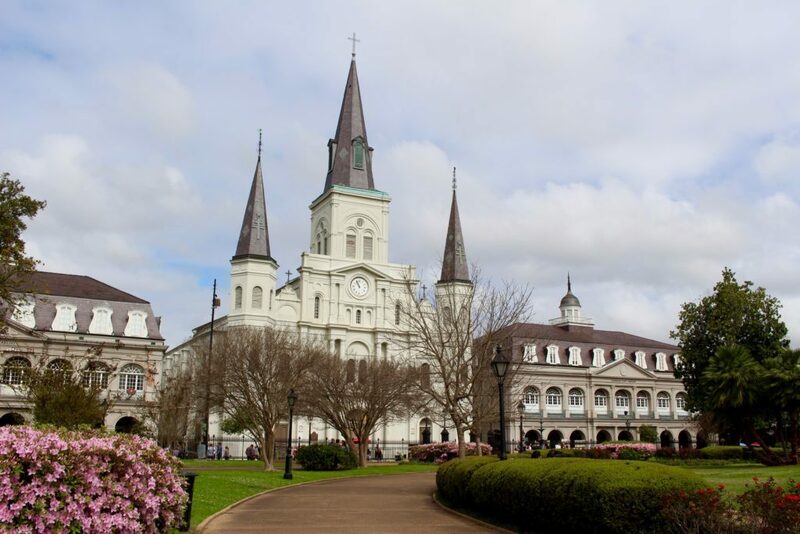 Have you visited New Orleans before? What are your favorite things to do, see, and eat in the city? *This post contains affiliate links, which means if you make a purchase, we will receive a small commission, at no extra cost to you. These are all products we highly recommend. Thank you for supporting Travel Alphas!We experienced the Hyatt Centric French Quarter and Cajun Encounters as guests, however all opinions are our own! The swamp tour sounds cool! I think I might be visiting New Orleans in February, and I’m dying to get my hands on a po-boy and some beignets. It was! 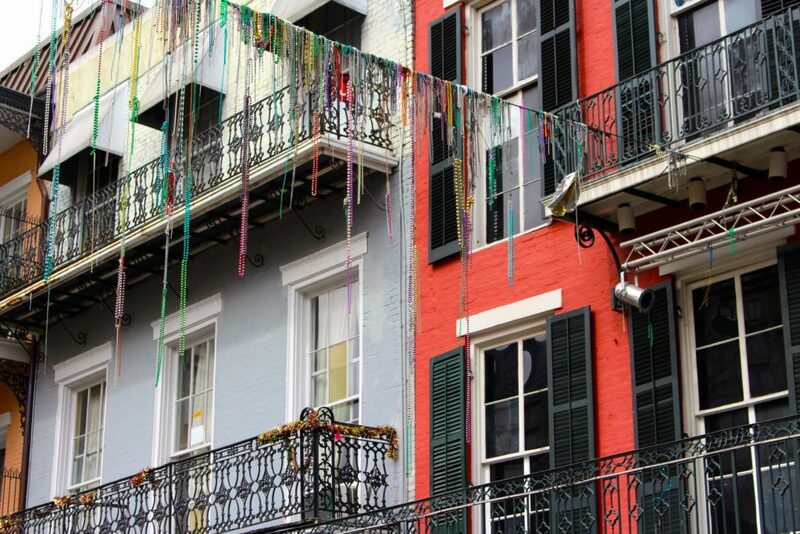 Ooooh if you’re going in Feb., you might even catch Mardi Gras! That would be pretty cool! Ohhhh no! But really, that’s okay. 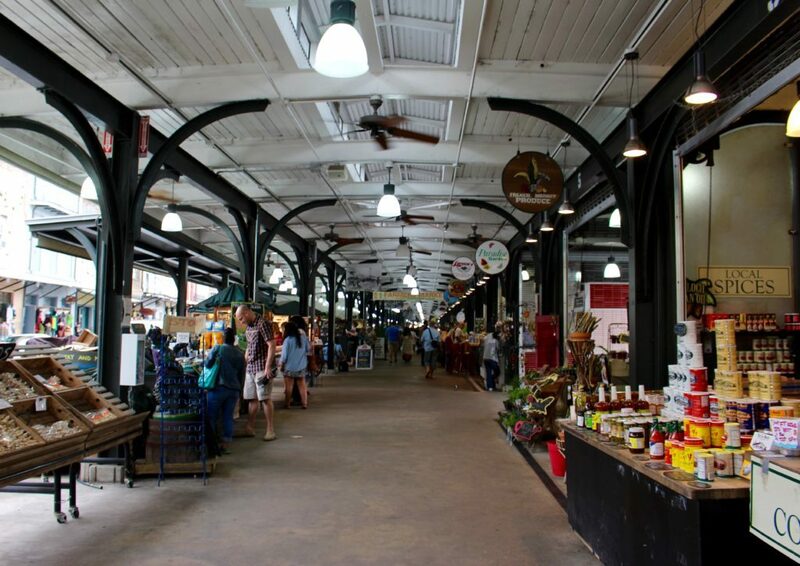 There’s much more to New Orleans than drinking on Bourbon St. Much, much more! Thank you! I’m sure you’d love it! This is a great list! Jackson Square looks amazing, definitely worth a visit! Hopefully one day, i’ll get to! It really is! I loved all seeing all of the blooming flowers when I visited in the springtime. 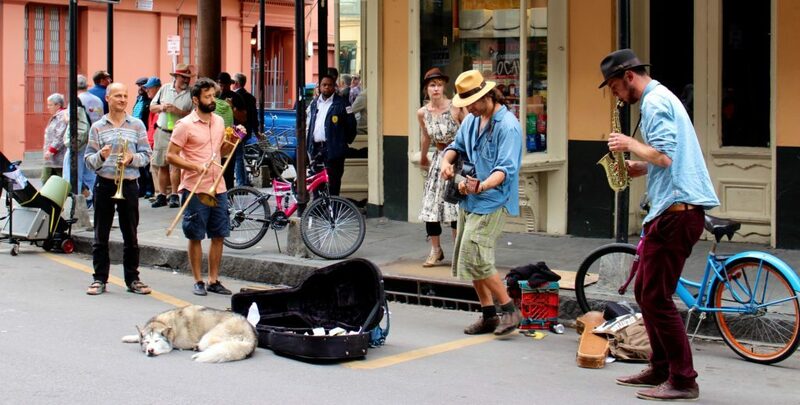 The music and the lively bunch of people makes Jackson Square an awesome place to hang out! Thanks for stopping by. New Orleans is definitely one of the US cities I really want to visit! I also love how there is so much good food there- I love eating haha! You really should! As a new US resident, I’d say it’s one of the USA’s cities you need to see! Eating is definitely my favorite activity, so New Orleans was like a dreamland… It was insanely awesome. You make me want to go to New Orleans so bad! I bet you would love it too! 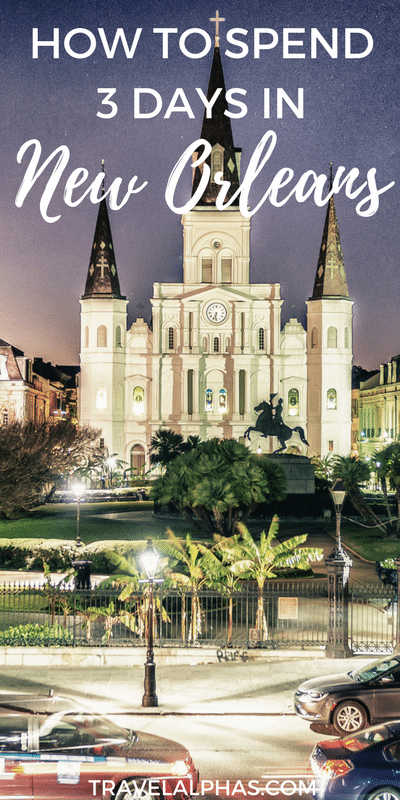 I would love to visit New Orleans one day and this guide is so useful! The food sounds just amazing and I keep hearing how great a foodie destination it is! I love authentic Creole food! Thanks! That’s exactly why I love it so much! There’s just no foodie scene like the one in New Orleans!! I’m itching to get to New Orleans, great post! Okay, so I read this and now I am REALLY hungry! Now you’ve got to go to NOLA and try all the awesome food! I was there two years ago and I”m going again this December. Wondering what your thoughts are on Commander’s Palace. Missed it last time, but thinking we need to try it this time. Highly recommend the Swamp Tour! We’ve heard it’s a great restaurant, but we didn’t have a chance to go last time. Didn’t bring the proper clothing!